MARK Latham has fired up at Studio 10 co-host Joe Hildebrand after questions about his no-show for an interview with One Nation leader Pauline Hanson. 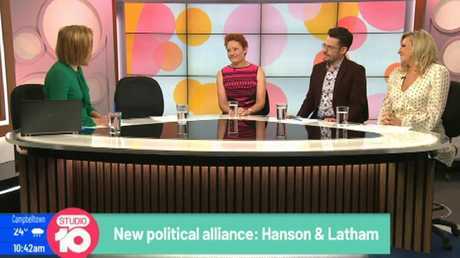 Mr Latham was expected to appear with Ms Hanson on Wednesday morning's show following his political comeback announcement, but just before they were to go to air, he told producers he was pulling out, leaving her to go on solo … next to an empty chair. 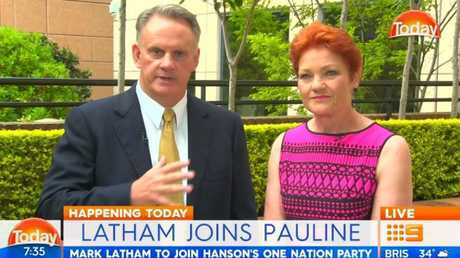 While Ms Hanson talked about "absolutely thrilled" she was to have Mr Latham on board, Hildebrand pointed out the new the One Nation candidate had already "broken his first promise" by not appearing on the show. Hildebrand then confronted Mr Latham on-air outside the ABC studios, where the One Nation candidate had been giving other interviews. Mr Latham said Hildebrand - who also writes for news.com.au - had "a big opinion of himself", in an interview with Sam Dastyari on Triple M last night. The new One Nation recruit said he had simply accepted a late ABC interview request, splitting from Ms Hanson so the pair could make more appearances. 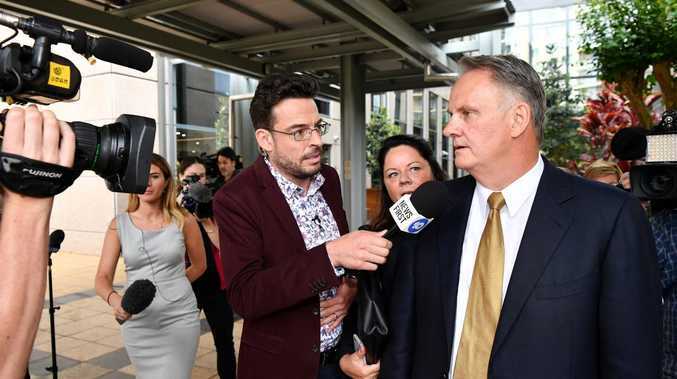 "Joe Hildebrand, he's got a big opinion of himself, I mean, waving his microphone around and making out that the media was the story," said Mr Latham. "It thinks it's the story, on his little show there that focuses on weightloss potions and pregnant bananas, and he does dress-ups and all sorts of silly stunts. Joe, essentially, has become a clown with a big ego and thinks it's all about him. And I think that's pretty sad." Ms Hanson told Studio 10 she had "no idea" of the whereabouts of her new state leader. "I do apologise on behalf of Mark, we've had new staff, we've had other commitments and they've double booked us so that's why I'm on my own," she told the panel. Hildebrand was doubtful. "He's not even become the NSW leader and officially endorsed candidate yet," said the journalist. "But he's already broken his first promise. At a time when people are losing faith in mainstream political parties and you're capitalising on that, your straight-talking, straight shooter has just lied to our producer." Co-host Angela Bishop questioned the integrity of Mr Latham as a state leader and the strength of the "marriage" between him and Ms Hanson. "This morning is the time you have chosen to announce yourselves as a team, this was part of that announcement as a team and the team isn't here," Bishop said. Mr Latham insisted he had "never made a commitment to anyone to be on the show," and he and Ms Hanson had done five other interviews in a row together. "We had so many media requests, we thought that we were doing the media a favour by giving them access to the One Nation story of the day, which they were very interested in," said the former Labor leader, who has been at the centre of a series of controversies since leaving politics to become a media commentator. Studio10 panel grills Pauline Hanson over the no-show of her newly appointed One Nation party NSW leader Mark Latham. "By splitting up in the middle of the day, Pauline could do Studio 10, where she had a commitment a week earlier - they didn't know about me until 7 o'clock in the morning because I hadn't been announced as the candidate. This idea that they knew about me the day before is the biggest load of baloney ever. Are you trying to tell me that wouldn't have got and it wouldn't have been all over Twitter on the Tuesday night? What a load of rubbish. "Unfortunately, when the media's got a huge, arrogant ego and thinks the story's about them, you have the ridiculous crap they've been going on about for the last 48 hours. "Then they then came up with the idea, oh, maybe Latham and Hanson had an argument. What a load of absolute crap, because we then went on to do joint interviews with Ben Fordham and another one in the - we did so many interviews, it just escapes me. "We did so many interviews together and finished the day together at 2GB and all we were doing in the middle of the day was splitting up to give the media extra access, because if, by some reason, Joe Hildebrand-style water torture or harassment or intimidation or holding me at gunpoint, I had to go into Studio 10, I wouldn't have been able to say anything about my announcement on the ABC with the two interviews I did. So unfortunately, the more you try to help the media, some of these fools actually try and turn it against you." Mr Latham, who was Labor leader from December 2003 until January 2005, was sacked from Sky News program Outsiders in March 2017after he made insulting comments about a fellow presenter. He also resigned from The Australian Financial Review after writing articles critical of Australian of the Year Rosie Batty as well as transgender woman and former Australian Defence Force member Catherine McGregor. He is being sued for defamation by ABC journalist and ex-political editor of pop culture website Junkee, Osman Faruqi, over comments Mr Latham on made on his YouTube program in 2017 in a video entitled, "The Rise of Anti-White Racism and Terrorist Plots in Australia". Ms Hanson had denied Mr Latham would be a candidate for One Nation at the next federal election after he quit the Liberal Democratic Party in September. When Mr Latham and Ms Hanson appeared on the Today show on Wednesday morning, host Karl Stefanovic said he "can't see it ending well" - referring to the outspoken politicians' unlikely pairing. But Mr Latham was quick to fire back. "If we're weaklings and hopeless and falling around the floor crying now you would say what a pathetic duo they are," he said. "Neither of us is politically correct. Both of us speak our mind. That's a good thing. 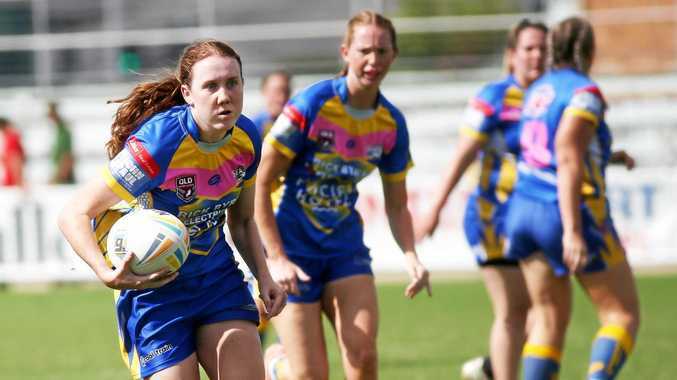 If pulling punches and being honest under political correctness is an issue we wouldn't have the all the problems of public policy in NSW." He said he joined the party to speak the truth about what was happening in Sydney and the state. His main objective is to "end Sydney's congestion". "The number one issue in Sydney is overpopulation and overdevelopment. The city is becoming unliveable and dysfunctional," he told Stefanovic. Mr Latham also spoke about slashing immigration rates, saying "we can't go with 100,000 extra people coming into Sydney". He vowed also to bring down electricity prices, stamp out political correctness and end divisive identity politics. Mark Latham will take on a leadership role as the head of Pauline Hanson’s One Nation party in NSW. But Stefanovic steered the conversation back to the pair's characters, asking Mr Latham if he was able to take advice from a strong woman. "Always. Pauline is the party leader. I listen to her. She listens to me and in this vital area of containing Sydney's growth and making the city liveable, our policies are synch and I think that's vital in giving people the third choice (behind Labor and the Coalition)," Mr Latham said. When Stefanovic asking if Ms Hanson if she would be able to "keep him in line", the senator didn't take it lightly. "Look, I don't know why you keep going back to keeping him in line," she fired back. "This is why I wanted Mark on board because of his knowledge, his experience. Today host Karl Stefanovic grills Mark Latham and Pauline Hanson on how their new relationship will work. "You know, no one can knock him. He was Labor Party opposition leader. He has a lot to offer. That's why I don't feel Mark finished with politics and it's definitely what One Nation needs in NSW, to push our policies." Ms Hanson had previously denied Mr Latham would be a candidate for One Nation at the next federal election after he quit the Liberal Democratic Party in September. Asked about the former Labor leader's return to politics, former Tasmanian Labor premier David Bartlett called Mr Latham a "sick, sad, sorry loser". 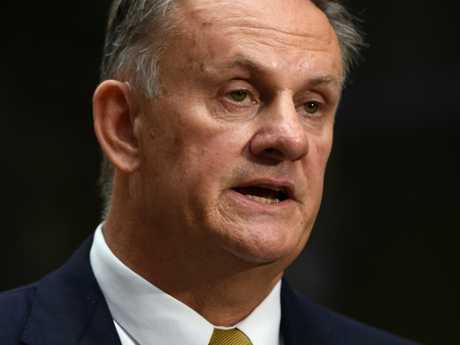 Mr Latham earned himself the title of "king rat" from his former party colleagues after he did ads for both One Nation and the Liberal Democrats during this year's Longman federal by-election.